Trish Smith was diagnosed with Juvenile Stargardt Macular Dystrophy when she was 9 years old. Trish is one of six members in her family who have this eye condition. Three of her siblings, her niece, and her nephew have JMD as well. Trish’s eldest brother, Phil, was the first to be diagnosed with JMD, which at the time was labeled as Macular degeneration. “My mom would take Phil to the eye doctor and they would come out telling her she has a stubborn son who refuses to read the signs,” says Trish. “It’s not that he did not want to read it, he just couldn’t see!” Soon after Phil, the three other siblings were diagnosed too. Considering the fact that a majority of the siblings had low vision, the family had to navigate around various difficulties that are common to the low vision community. “We had teachers who did not want to teach us since they would need to accommodate to our needs. Therefore, my parents took on the responsibility of becoming our biggest advocates.” Trish explains that her parents would make sure the school provided proper testing materials for them, big print textbooks, and more. “Unfortunately my math book was the same size as my desk and so as a high school kid trying to fit in there was no way you could hide that,” Trish recalls. Most recently, in the past ten years, Trish claimed that her eyesight began to deteriorate rapidly. Daily tasks became more difficult than ever. 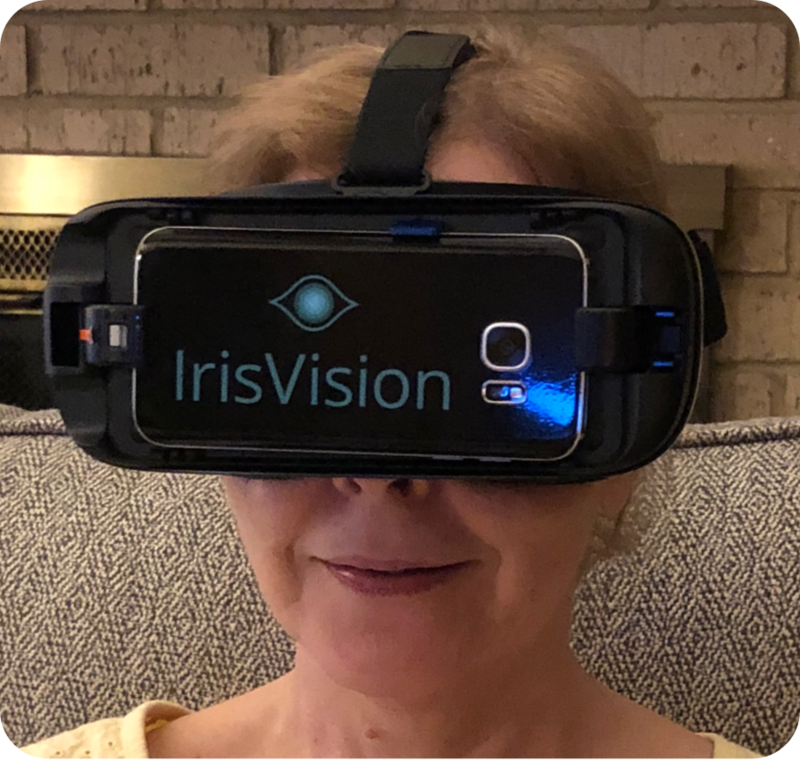 Fortunately, this year, Trish and her family discovered the IrisVision. “Let me tell you, having the IrisVision is pretty amazing,” Trish says. Trish is not the only member of her family that uses the device, each of them who have been diagnosed with JDM use IrisVision as well. She elaborated on the fact that not only are they grateful for the fact that IrisVision assists them with carrying out their daily tasks, they also use it in different way. 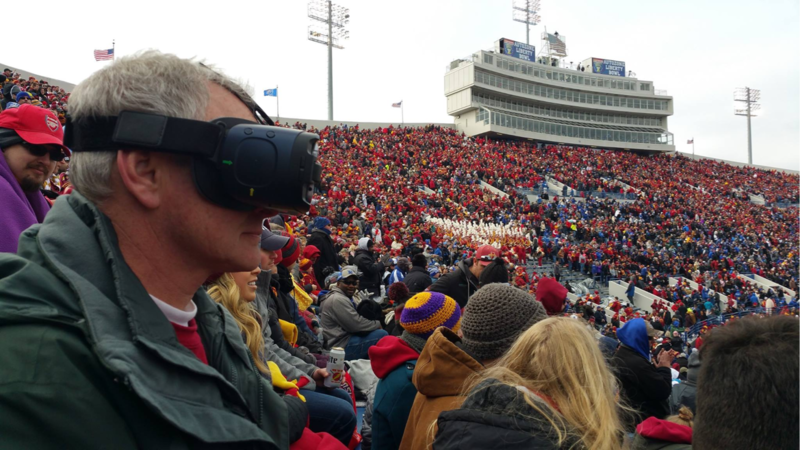 Ways that are specific to their own lifestyles: Trish’s brothers have taken their IrisVisions to the University of Arizona Football game (See Picture) and her niece Ashley uses hers in the classroom when she teaches her fourth grade students Read Ashley’s story.